Well, how perfect. The name of this restaurant in Angers translates to ‘Food and Wine Pleasures’. And the objective of the restaurant is to ensure that there are wines to match the food that you are served. With over 300 wines to choose from, including a large number from local producers, our group had no problem selecting and enjoying. 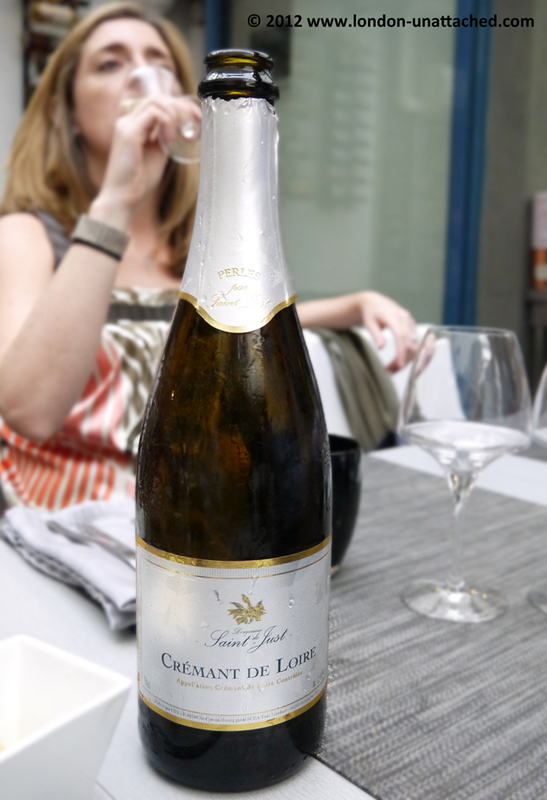 We started with a Cremant de Loire while we looked at the menu. Chef Richard Cerini has two set menu price options at Mets et Vins, one slightly less expensive, although not lacking in choice or substance. The restaurant itself is modern and informal with a large conservatory type room at the back and on the evening we were there with several groups of over 6 diners. But service was fast and efficient and, where necessary, in English! 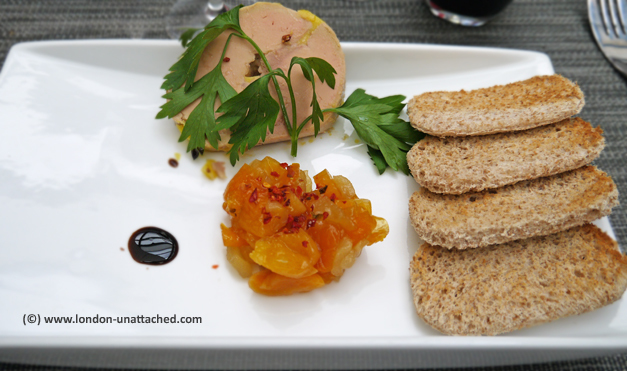 I started the meal with foie gras served with pear and apricot chutney. Yes, I know, very bad…and I don’t do it very often. 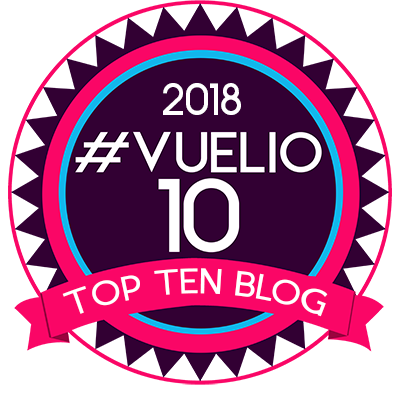 I love the flavour though and it was the menu option I really wanted to try because the alternative was iberico ham, which I am all too familiar with from my trip to Barcelona recently. 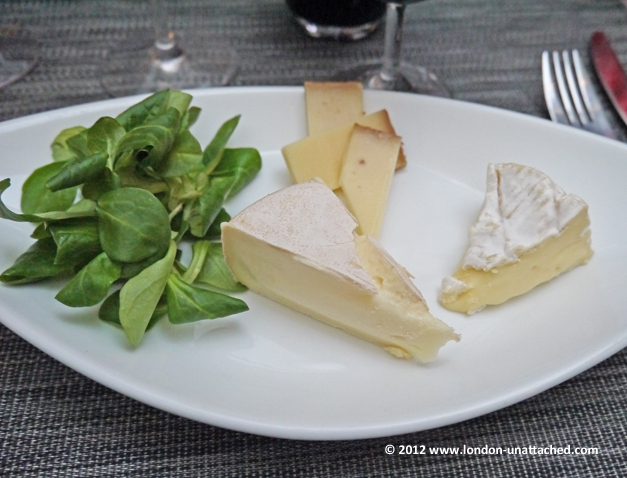 To complete the meal, a simple platter of cheeses with a little watercress. Now why is it that such a straightforward set of dishes works so well? 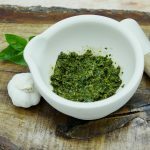 I am sure it’s the quality of the raw ingredients together with simple unfussy cooking. And, I’d like to see more of it in the UK. Most of the dishes served were well presented and well received. Perhaps the only disappointment was the Pave of Iberico Pork which we had all anticipated would be a neat square of pork belly. And, we drank a lot of very good wine which was chosen for us by some of my companions. I’d recommend Mets et Vins Plaisirs if you happen to be in Angers or close by. yes I think our guide suggested we took that home as gifts! 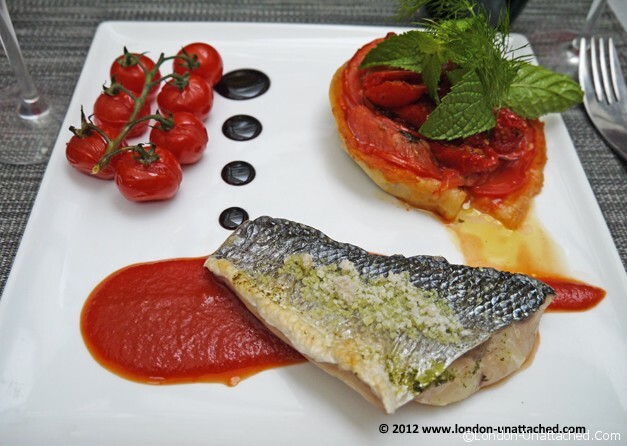 We went to a couple of other great restaurants, but both outside Angers…most posts to follow.